When you decide to purchase a great vacuum cleaning machine, what is the first thing that pops into your mind? A machine that is economical and user-friendly. 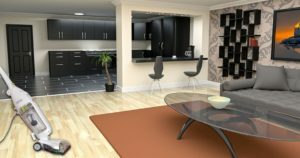 You want a device that does not make much noise and is one of the best-automated cleaning solutions for all floor types. Well, look no further than the Shark Navigator Professional Lift-Away Vacuum Cleaner. Well, Shark Navigator Professional lift away reviews will help you to know what this device all about is and what it can do. 1.0.2 What’s in the Package? This is an uplift navigational floor cleaner which works best on both, carpeted floors and normal ones alike. This multi-purpose machine performs effective cleaning of the floors equipped with HEPA filters. These filters ensures the best cleaning performance for all floor types by keeping allergens, pollens and other minute dirt particles away from the floor. Unlike other vacuum cleaners on the market, the shark navigator professional lift away vacuum cleaner is one of a kind as it provides the liberty to individuals so they can easily separate canister from the head of the device. How is that helpful? It makes the machine accessible to slide underneath dark corners and places where it is hard to reach. Unlike the other models, this fine looking vacuum cleaning machine does not include any additional aesthetics to attract customers. 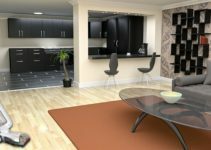 Each and everything about the design of this product is in support for efficient performance and delivering high-end functionality. The machine is present within the market as a glossy white body with a significant touch of red. Each of its parts is built with keeping rigidity and strength in mind. This makes the mechanism a bit more lucrative as compared to other products on the market. Some say the aesthetics of the design are vintage in look and takes them back to an era of Star Wars, but I think it resembles more to probe droids such as EVE from Wall-e. The handle on the device is strong and secure. It is more portable in alternative modes. In addition, the best part is the transparent bin which allows you to track the debris and dust in real time. How cool is that? Well, okay… Not that cools for hygiene lovers. The shark navigator professional packs a number of features that make the device highly lucrative for interested buyers. It is the most feasible product design solution out there and here’s why! The all-new Shark Navigator includes a sturdy steering handle for easy maneuverability. This ergonomically well-designed vacuum cleaner becomes a convenient option as it can fit in anywhere and can even slide into the darkest sections around. The low profile nature of this device and the extended length of the cord allow the user to move the device easily around the room. The sturdy stick is also detachable which allows the user to separate the device from the base for easy portability. In addition, the extended length of the hose is an additional win-win which gives the product a whole different edge in performance. In these Shark Navigator Professional Lift-Away Reviews, we have covered the complete feature list of the device. Hope you guys find it helpful. Just don’t make any decision without going through an appropriate assessment. The weight of the product is approximately 15 x 11.5 x 33.8 which rounds up to nearly 16 lbs. 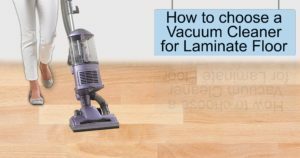 These dimensions are perfect as they are common dimensions for most vacuum cleaners and are relatable to class. It is a 3 in one cleaning agent which you can easily transform depending on your specific requirements. It makes low-noise and is quite a soundless vacuum cleaner. It comes with an outclass headlight, you are directly assisted with better cleaning. The input power of this device is around 1200 Watts. Now, you must be thinking that it’s too high so allow me to tell you that it’s not. 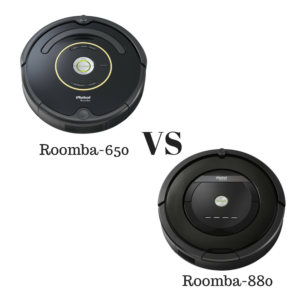 If you check most of the vacuum cleaner such as the Shark Navigator on the market, you will realize that all vacuum cleaner of its size has the same input power. The filtration system is one of the important segments of each vacuum cleaning device. Therefore, it won’t be wrong to claim that the device is equipped with the best HEPA filters which are capable to extract more than 99.99% of the particles from the air. In addition, the filters can be removed and washed in order to provide more efficient cleaning repeatedly. 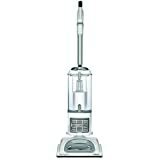 One of the best things about the Shark Navigator Professional Vacuum Cleaner that has been proven by Shark navigator professional lift away reviews is that it comes with high suction power. The suction power feature is variable and therefore, one can control the power by adjusting it to an appropriate level. Why is the suction so great? It’s because the Shark Navigator uses cyclonic technology that is capable to clean a rather large chunk of dirt and debris before it even reaches the filters. 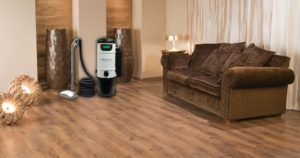 What else makes Shark Navigator a preferred choice among other vacuum cleaners is the large bin size it has to offer for its customers. With a bin space up to 0.775 gallons, the shark navigator is the ultimate uplift floor cleaning vacuum machine that cleans more efficiently and profoundly. In addition, whenever you choose to empty out the bin, all you ever have to do is open the lid and pops up on both sides. This device packs a number of interesting accessories. These may include common tools such as the crevice tool, the dusting brush, a powered pet brush, a multi-tool brush, upholstery tool and more. In addition, with this cleaning agent, you also get a canister caddy and an accessory bag to make the shark navigator professional cleaner highly portable. 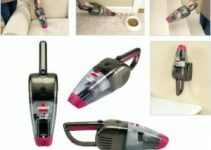 One of the best thing about this cleaner is that easily make its position to one of the best vacuum cleaning devices for carpet and pet-hair pickups. As a dust removal device, dirt and hair removal and what not! It makes sure that it removes every dirty element off your floor to give you a spotless clean. 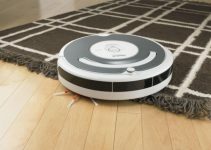 Not only does it come with easy maneuverability but it also packs strong suction power which makes sure that all the debris is easily removed from the carpeted floors and rugs effectively. In addition, the dust bag is pretty spacey and the cord is long enough to carry the machine around easily. The device makes high end pitchy noise, while it is considered a noise free solution. A few had questions about the design, whereas I found the device aesthetically pleasing. Some considered the device heavy! For a fair price and an amazing cleaning performance, I believe Shark Uplift Vacuum cleaner has proven itself to be a worthy device to be mentioned on the website. It packs a variety of features and services which make this purchase a handy for most users and that’s why all the Shark navigator professional lift away reviews are positive. With a rather large range of accessories, this device offers customers maximum versatility in cleaning. As a result, it has become a design loved by everyone. If you haven’t purchased a cleaning solution for yourself yet, now might be the time. So, if you are looking for an uplift maneuverable cleaning machine, please do get your hand on this product! The product is currently available on Amazon and Walmart online stores.